This is totally off subject but when you guys are on your laptop & the battery is about to die & if you don't get to the charger really quick, you are going to lose all the things you were just in the middle of. Do you guys feel like there's a bomb about to explode if you don't make it to the detinator (charger) on time lol? I totally do every time with an the panic sensation & the whole nine. This just happened again and I had to laugh at myself...thought I'd share. Anyways...Happy FOURTH OF JULY WHOO HOO! 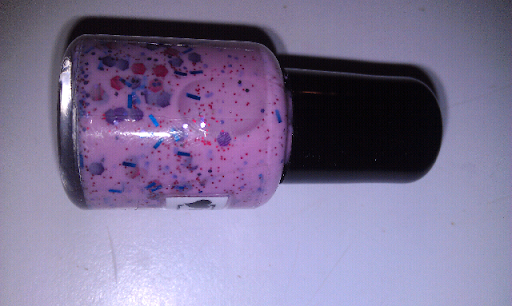 I'm going to be doing Fourth of July mani's today on myself and a bunch of little girls in my family today, exciting :)! Of course I will take plenty of pictures as usual. Party, cookout and fireworks tonight!!! 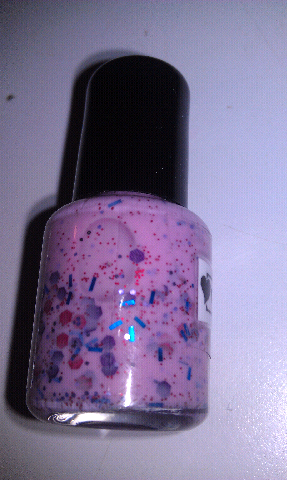 I wanted to share some pictures of a polish I made for a friend of our family's little girl Kaylin. 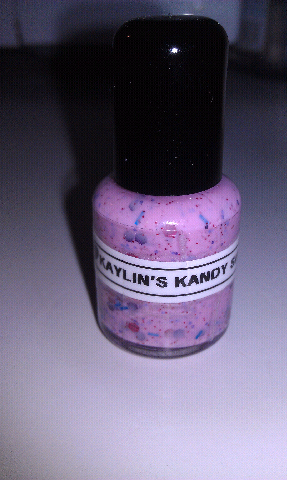 I named it Kaylin's Kandy Shop (sorry Deb lol). You will all see why I called it that when you see the pictures. 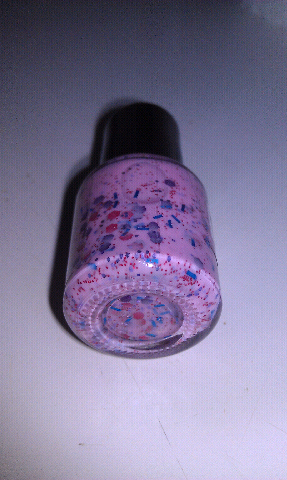 It's bubble gum pink with all solvent resistant, non-bleeding (tested) small & large matte red hex glitters, grape colored large matte hex glitter, small metallic shiny lavender hex glitter & short metallic shiny blue bar glitter all in custom blended from red & white pigments, 3-free luster base to the perfect bubble gum pink semi-sheer base. These were Kaylin's four favorite colors: Pink, purple, blue and red. 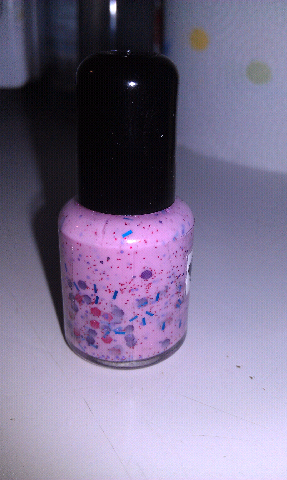 I think I did good blending those colors together for her one of a kind nail polish :)! I love this! i seriously need to get myself some of your polishes! they are beautiful!